Chauffeured Transportation with a Flexible, Professional and a Personal Touch. That’s what makes the difference. Enjoy free soft drinks and typical Dutch sweets while ETS drives you to your next or final destination. We strive to make sure we have as small a carbon footprint as possible. That is why all our cars are environmentally friendly and equipped with fuel-efficient engines, and driven by experienced chauffeurs. We renew our fleet every three years. When you choose high-class chauffeured transportation, you want to rely on a professional partner that does everything to makes your trip as comfortable as possible. That is why you choose ETS. With licensed and experienced drivers, and a versatile fleet, you are guaranteed a care-free experience. Every client that we serve is unique. 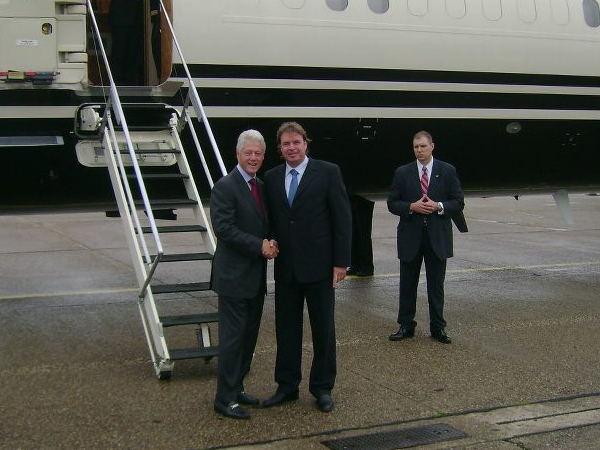 That is why we offer tailor-made chauffeured transportation solutions. Curious about what we can do? Call us at +31 (0)85 488 54 70. One of our experienced staff members will gladly give you more information. Want to book chauffeured transportation immediately? Call us at the previously mentioned phone number or book it via our booking system. A small part of our daily work. 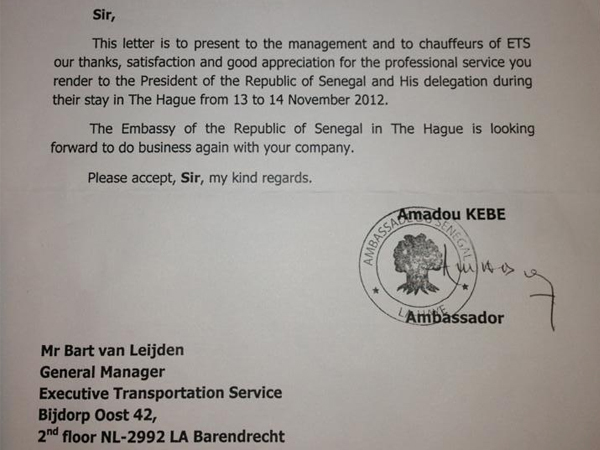 I want to thank you for the expert service provided to myself and my colleague this past week in The Hague/Amsterdam. Your drivers were courteous, vehicles clean and in superb condition, on time, and made one feel as a valued customer. Also, everyone I dealt with, right from Bart/CEO to all the other staff in making the arrangements, billing etc., were all consummate professionals. Again, thank you. CLSA have successfully been utilizing the excellent service provided by ETS for a number of years. Their knowledgeable drivers, efficient operations team and high specification vehicles are exactly what we are look for when transporting our clients and staff around the Netherlands. I have been using ETS since 2005, first at BNP, since 2008 at SG. The guys have never let me down, even with short notice trips. 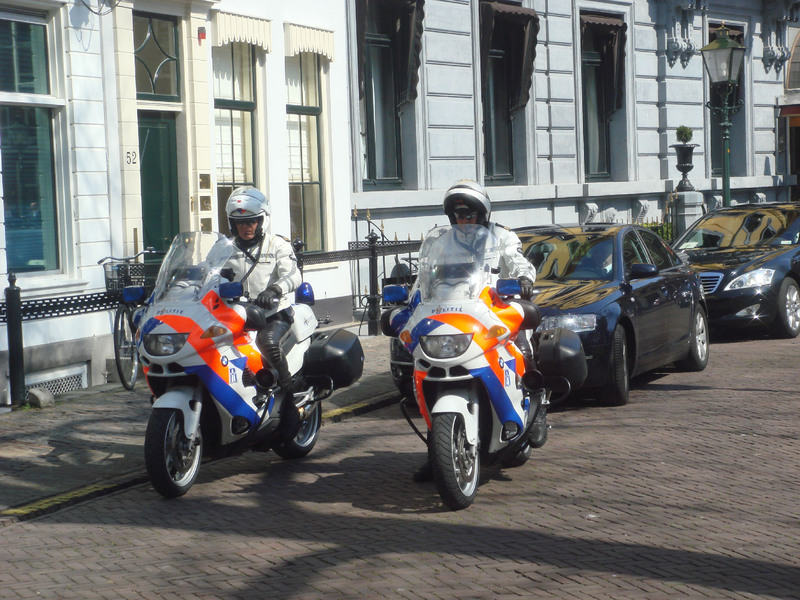 We use ETS extensively for our client visits, which inevitably involves Amsterdam, Rotterdam, The Hague and Utrecht area, which means a lot of driving around. When time is tight or when an unexpected travel delay arises, ETS is always ready to make the extra effort. I can’t recommend ETS highly enough, they are the best in the business!! Get your E.T.S. experience now! Copyright © 2017 Worldwide E.T.S.